My favorite Kindergarten class came for a visit today. (My daughter’s class.) We went through part of the museum and the outside buildings before they settled into the one room school house for some lessons. Mrs. Barkeim led the class through some writing and math lessons. 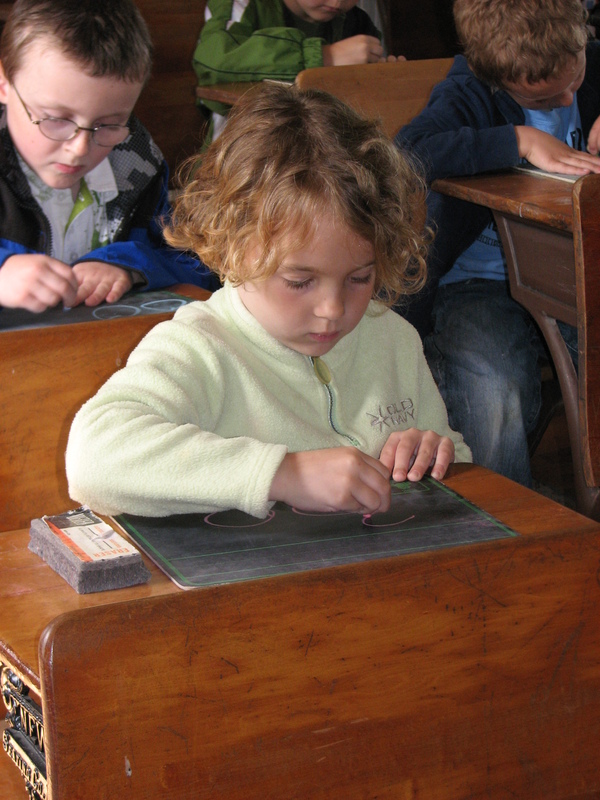 Each child had a small chalkboard to use. 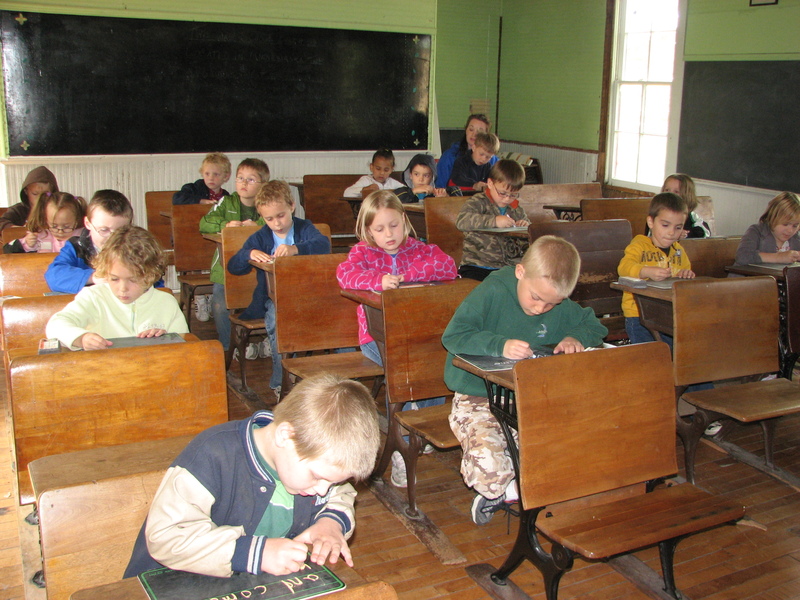 Chalkboards were novel for the students. 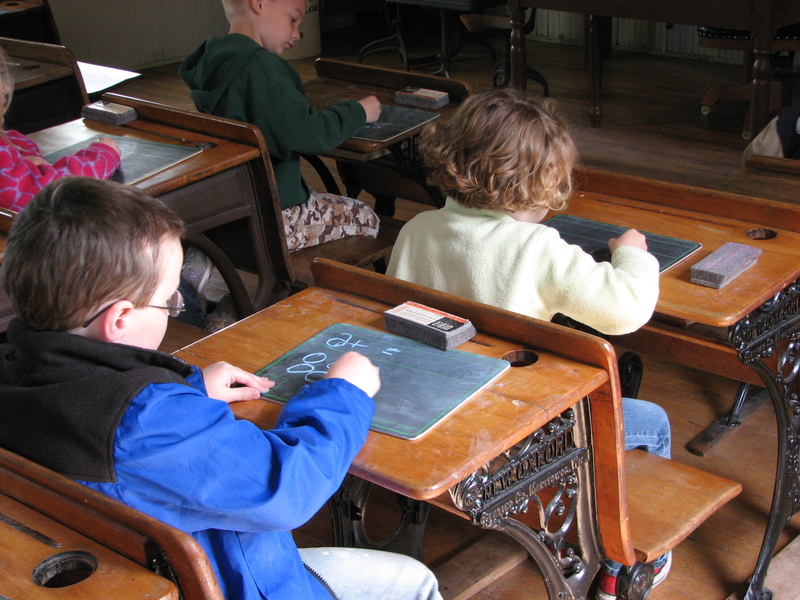 Today they do the same thing, but each student uses a small whiteboard and dry-erase marker. The kids learned quickly that chalkboards are VERY messy compared to whiteboards. They soon had chalk dust everywhere! Of course, that gave them the opportunity to go outside and clean the erasers – what fun! 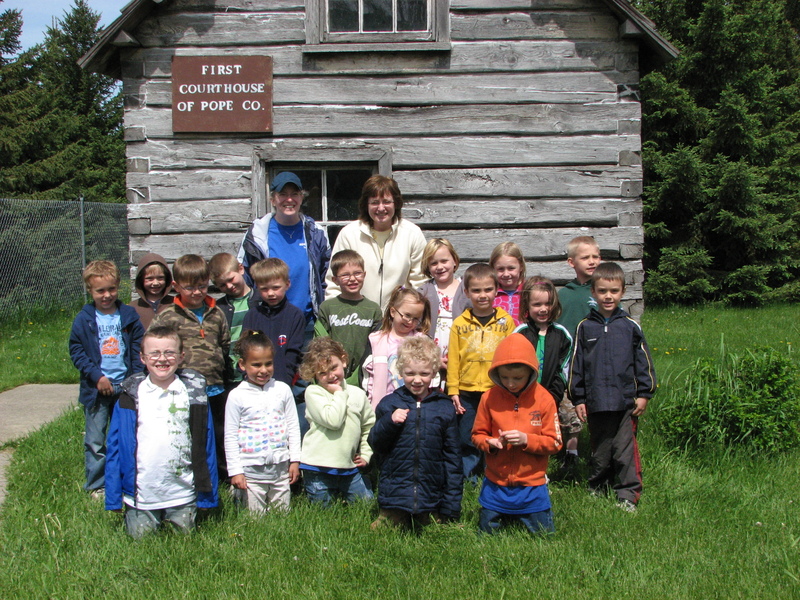 This entry was posted in Museum updates, Visitors and tagged chalkboards, kindergate, Minnewaska Area Elementary School, Minnewaska Area Schools, one-room school house, School Tours. Bookmark the permalink. I wish I was there with these little ones… touching history. My great great grandfather, John E. Benson arrived in Lowrey from Sweden in 1863.
and the first post office. before the brick school went up. Alas, I am far away and have never seen Minnesota.